I wanted to learn how to make cascarones (confetti-filled eggs) for Easter and I almost died when I walked into my local Walmart, went to the Easter section and found these cascarones on the shelves. Truth be told, I didn’t know much about cascarones before. I’d been wanting to do something special with my daughter for Easter (Pascua), so when I heard of cascarones, I decided I’d check them out. While I must report that I’ve absolutely no skills when it comes to arts & crafts, these seemed completely doable even for an inept like myself. I liked the concept behind the cascarones and I figured it’d be super fun for both Vanessa and Santiago. 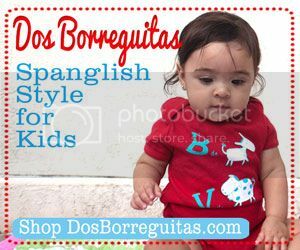 It’s funny how one of the great things about growing up Latina in the United States is that you have an unique opportunity to adopt the traditions of Latin American countries other than your own. Even though we are not Mexican, I think we’re definitely adopting this fun tradition! 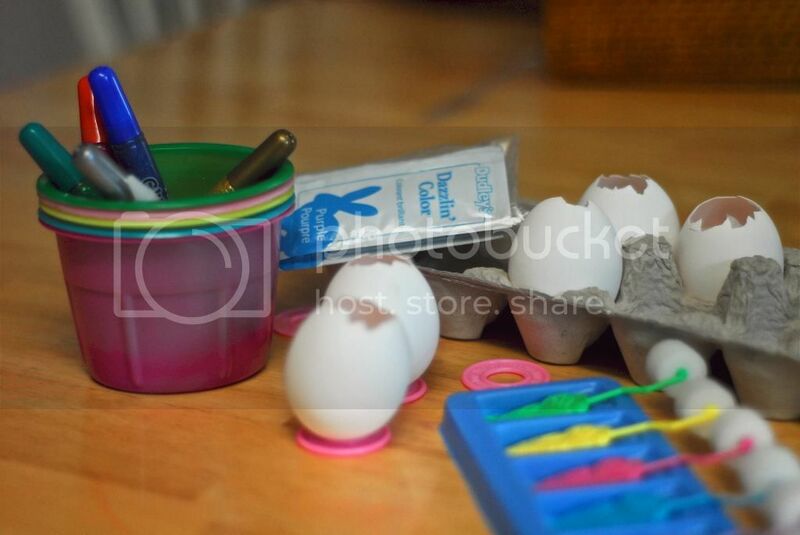 The first thing you need to do is make a small whole on top of each egg so you can take out the yolk and the white. The idea is to make the whole no bigger than a dime, but mine turned out more like a quarter. Oh, well! Eggs are super fragile so you have to be extremely careful. (I did this part by myself — and my husband used what I took out to make scrambled eggs for breakfast — because I think it would’ve been a disaster with Vanessa as a helper). 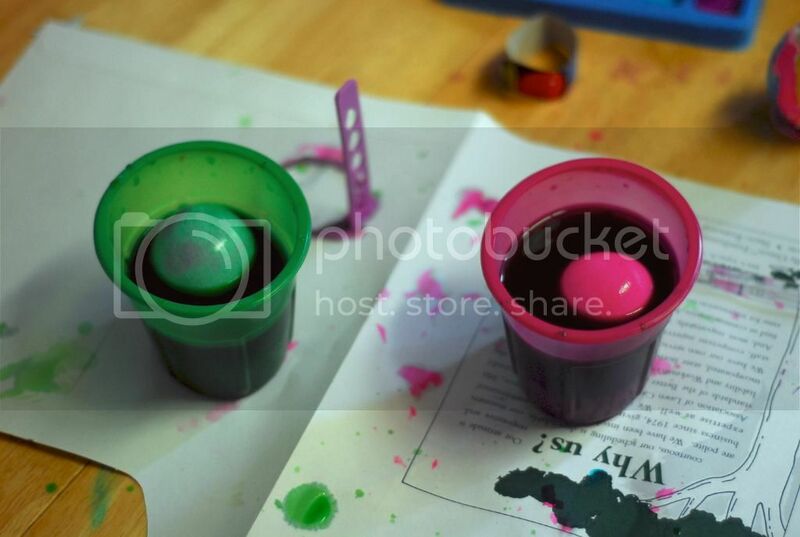 After letting the empty egg shells dry, you just dye them with food coloring the same way you would with regular Easter eggs. I was a bit overwhelmed with all the different options available at Walmart to decorate Easter eggs. 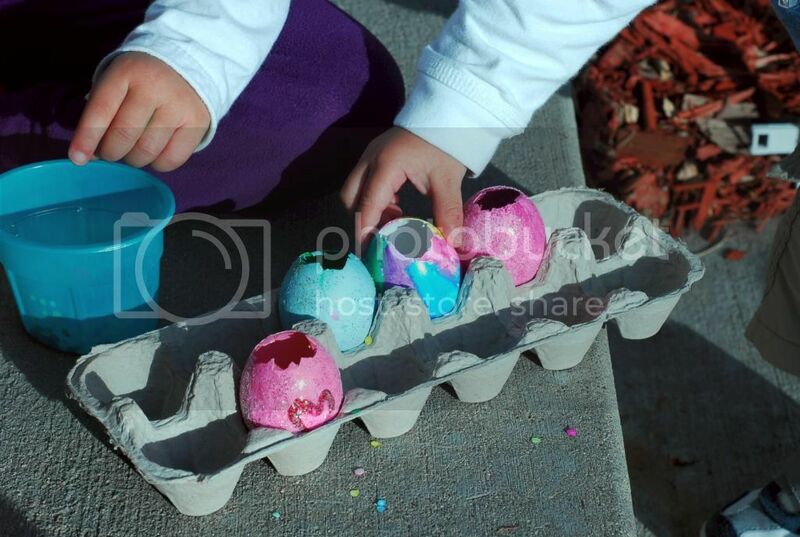 We bought the regular food coloring one, another one with some paint rollers so Vanessa could paint the egg shells however she wanted and one with glitter… or course! 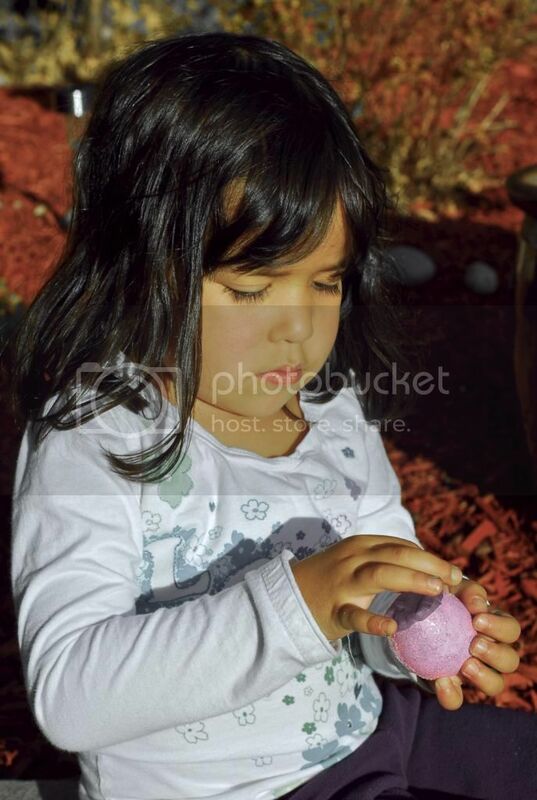 Once we were done decorating all our eggs, we left them alone for a while so they could dry. It is particularly important to let not only the paint dry, but also the inside of the egg so the confetti doesn’t stick to the bottom. 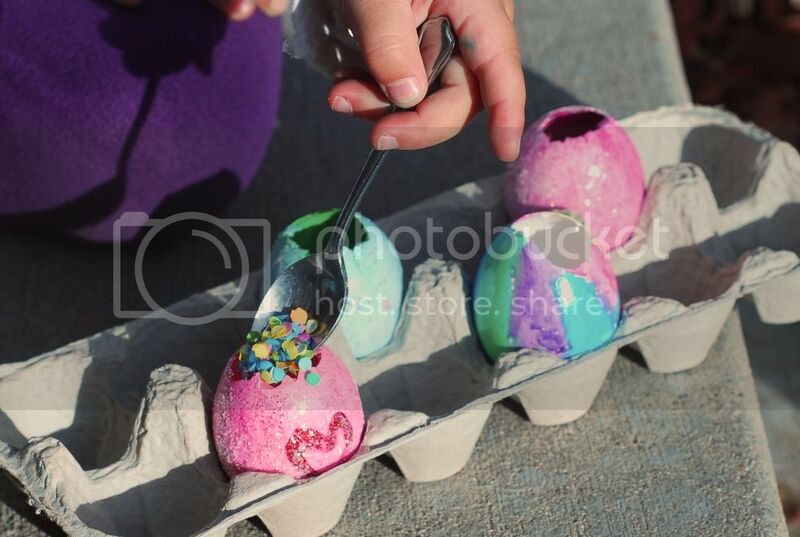 Once the eggs are all dried up (we took them outside and let the sun help speed up the process a bit), fill each egg with a few teaspoons full of confetti. My daughter loved doing this part and her little brother was fascinated by the whole process! Once you’ve filled up all the eggs with confetti, they’re ready to be covered up. 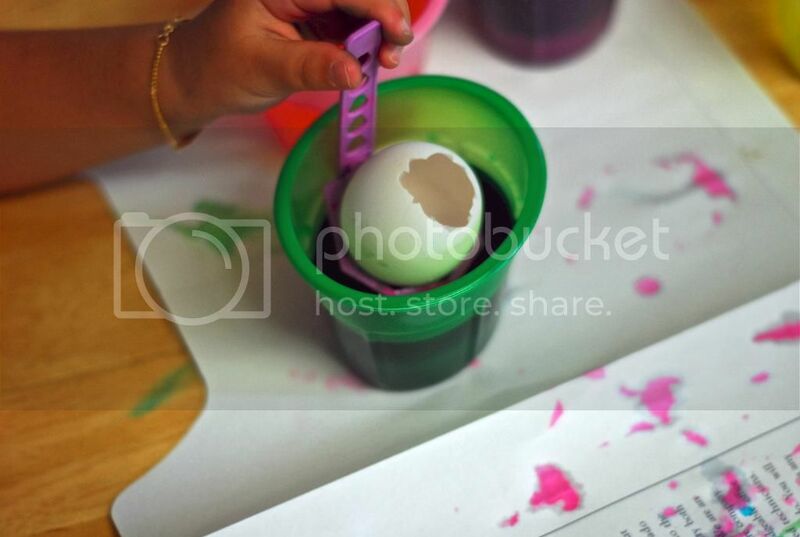 Put glue around the hole and then take a small piece of tissue paper (we only had white so I asked my daughter to color some pieces with markers) and attach it to the top of the egg to cover the hole. Then comes the fun part! The idea is to hide the cascarones like you would any other Easter eggs. According to tradition, when a kid finds a cascarón, he is supposed to run up to a friend and squish the egg on top of his head. 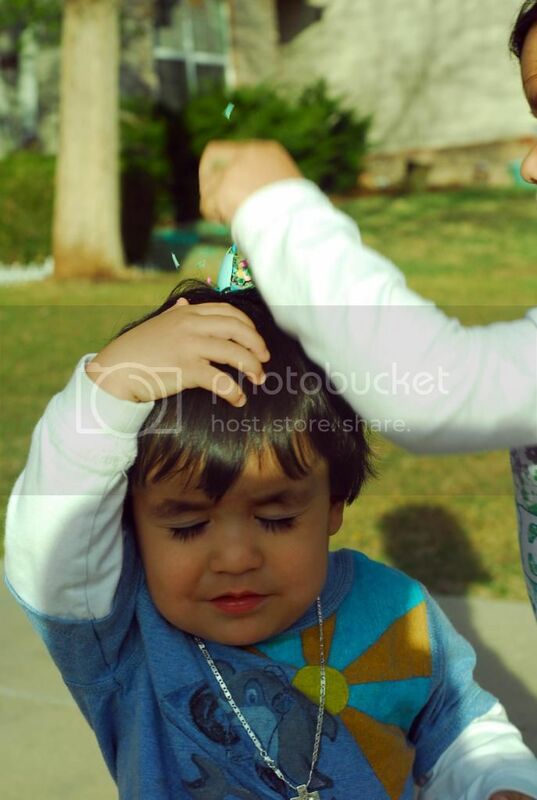 While Santiago was not too happy once he realized what was happening, the good thing — as I explained to my daughter — is that a confetti shower is supposed to bring good luck. It was hard for Vanessa to understand that one, so I just told her good things were going to happen to all of us! She loved it! Have you ever made cascarones? What do you tell your children about them? Disclosure: We received a gift card and compensation as part of the Walmart Moms program to facilitate this post. As always, all stories and opinions are our own. What a great topic! So glad you covered this! I’m excited. My son and I are definitely going to make cascarones this Easter! 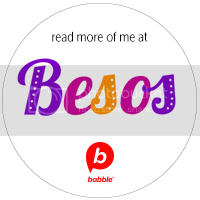 My husband is from Mexico, and this sounded familiar……. although when he originally told me about it I was clueless as to what he was talking about. We did not have kids and apparently I was not paying attention that well. This is going to be a lot of fun! I can’t wait! 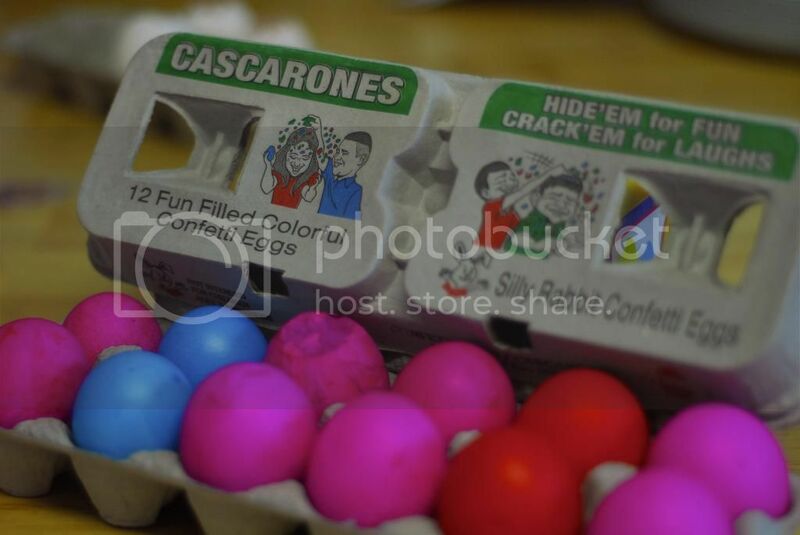 I’m really looking forward to making some cascarones this week with my kids. Already bought my eggs!!! 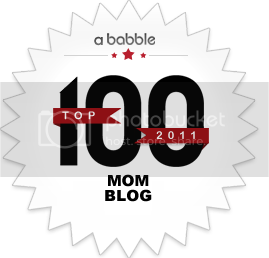 Thanks so much for sharing this – and all the great activities you post! – with us. Thank you for sharing about this tradition. 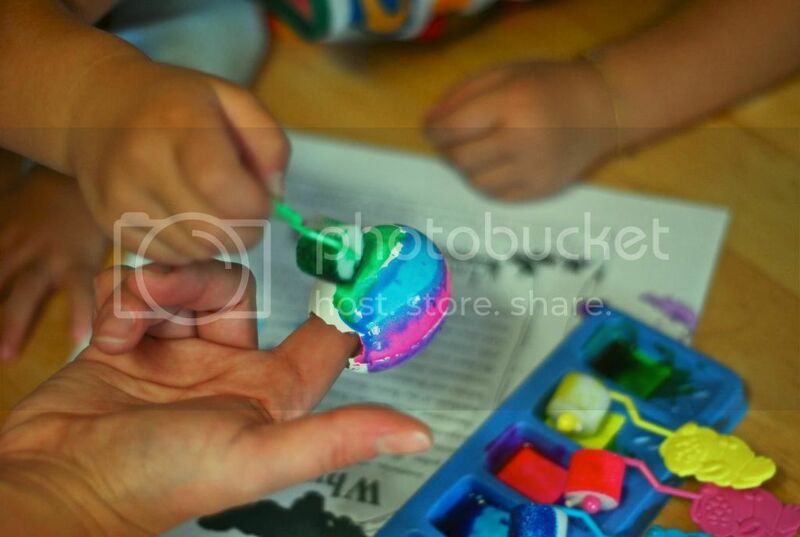 It looks like a lot of fun for the kiddos and can’t wait to “play” myself while doing these with my niece. I’ve never heard of these. Thanks for sharing! It looks like a lot of fun! My local Walmart didn’t have these, but that’s probably since our city’s Latino population is mostly from the Caribbean, not Mexican. I may just have to try this next year. Awh! 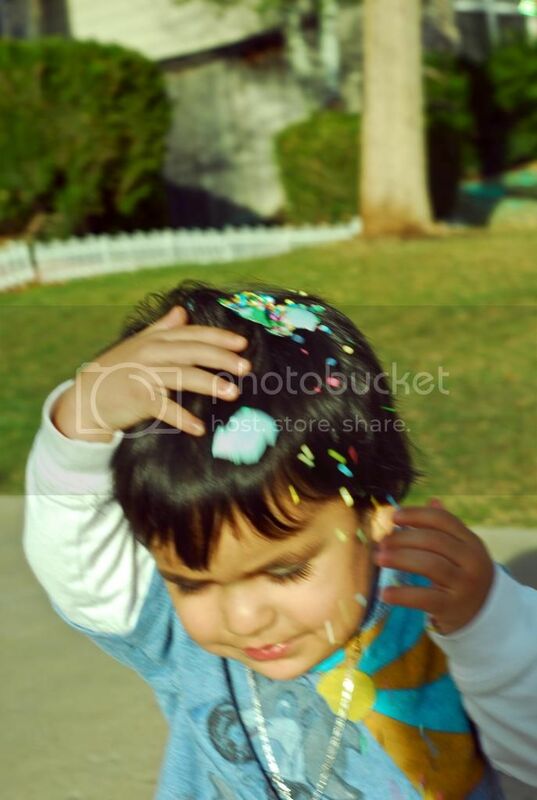 I love the photos of the kids breaking them! We made cascarones for the first time this year. I grew up with the Anglo tradition of dying hard boiled eggs, (which we later ate) – but I wanted the kids to learn the Latin American tradition which is their heritage as well. I plan on making some too! In El Salvador cascarones are a must!!! If I teach Maria how to make these, she will want to make them all the time! In Cubalandia this is not a tradition, but one I will borrow! I love cascarones!! 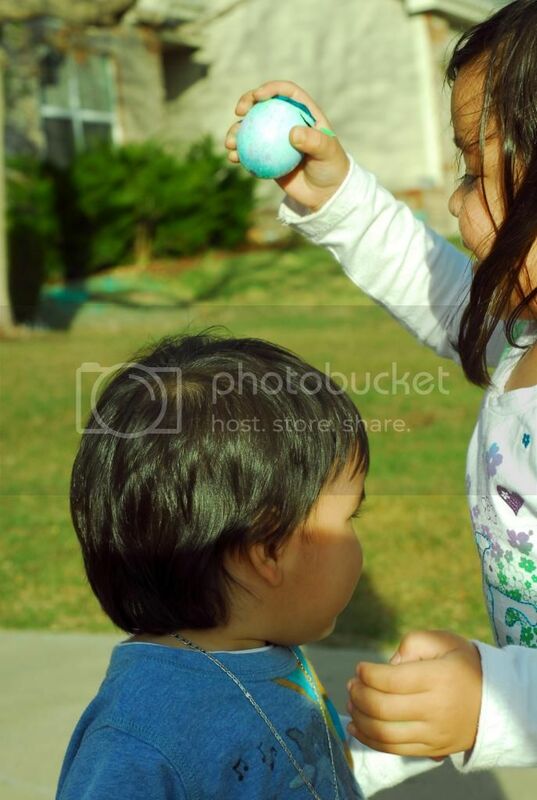 I remember every Easter week going with my grandma to the jardin and buying a big bag. My cousins and I always had a blast with them! Excellent post, thanks for al receta! The schools use them for their fundraisers. I make them for our family reunions. 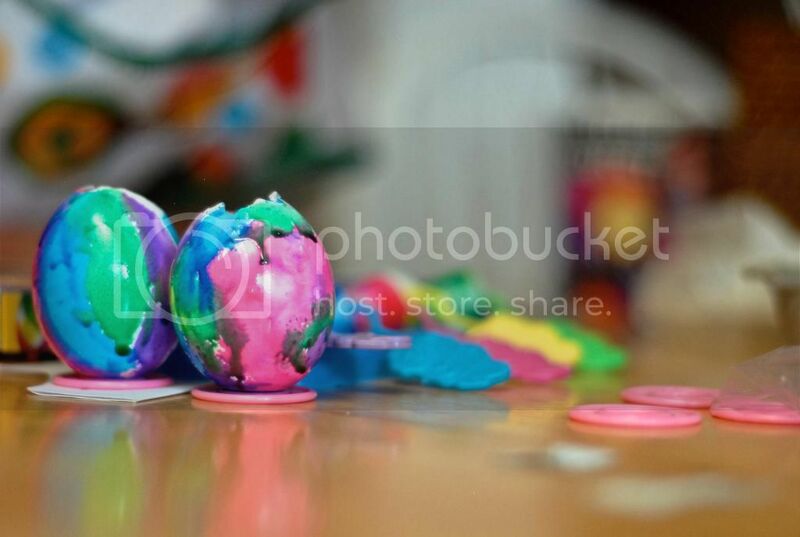 how fun, here in south texas cascarones are widely popular..my mother in law sells these every year!! so I take the easy route and buy from her..we had about 600 for our easter party this weekedn, so much fun!! Great post! I’m not so “arts & crafty” but you made it look easy. Love it! Will be doing this with my little guy this weekend. Happy Easter chicas! Let’s just say that if Roxana and I can make them, anyone can!